ALDHA will be conducting Two Boundary Work Trips this coming spring and we are in need of about 12 volunteers for each trip. We need smiling volunteers willing to bushwhack along the boundary of the A.T. to help with our effort to protect the Appalachian Trail. Work involves walking the boundary line cutting back vegetation, painting yellow blazes, and locating survey markers. We'll try to have a comfortable place for you to rest your head at night and meals will be funded by ALDHA. Speaking of which, a volunteer cook will also be needed! The camaraderie is great and you’ll leave knowing that you gave back to the trail. For the March 28-30, 2019 trip, we’ll be staying at the PATC Blackburn Trail Center, Virginia. From May 8-10, 2019 we'll be working in the Harriman State Park, NY. Yellow Shoes would love to hear from you. Owned and operated by the Potomac Appalachian Trail Club, the Blackburn Trail Center is located on the A.T. 12 miles south of Harpers Ferry. Blackburn is a premier stop for A.T. thru-hikers and day hikers alike. It is also used for Trail club meetings, crew work trips, training workshops, and large group rentals. The caretaker’s duties will include: maintaining the Trail Center, Hiker’s Cabin, and campground. Should have experience in offering comfort and company to weary A.T. hikers. Flexibility and ability to get along with wide variety of people a must! Prefer couple with knowledge of the A.T. and hikers’ needs. Stipend offered along with a fabulous summer experience. Dates runs from April 1 through October 31 though there is possibility of growing into full-time position. If you have questions call Chris at: (703) 967-2226. If it's you intention to hike all, or part of, one of the Triple Crown trails (AT, PCT, CDT) you'll want to check out one of the Mailing Labels pages. Each page has a quick glance of the mileage and recommended resupply locations, as well as the ability to print prefilled mailing labels. 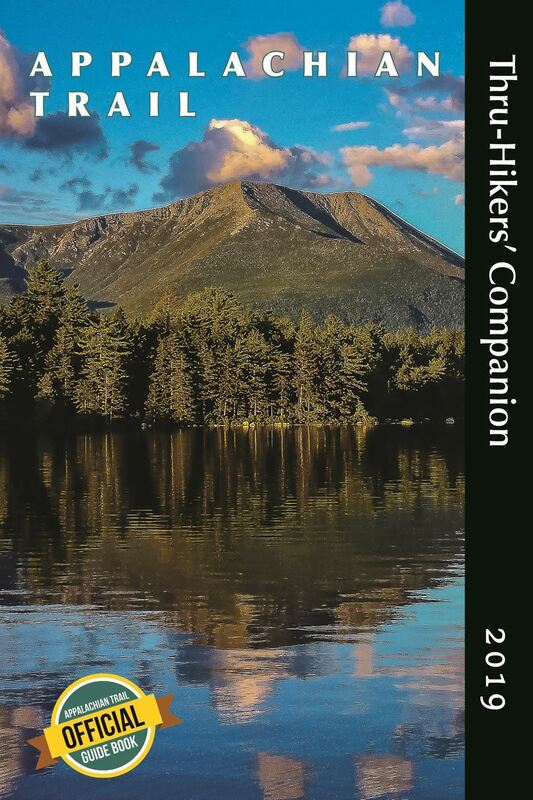 They also have a links page dedicated planning for each trail, gear and cottage gear maker directories, and trail journals and videos from past hikers. Click on the image and check them out. Tim Messerich here with the clubs report for our twentieth year working at RPH Cabin. Our event was held July 13,14,15. Due to unforeseen circumstances,ie hospital visits, work commitments and family affairs we had the lowest volunteer turn out in our club history.This low turnout did not affect the magnitude, nor the quantity of our of the work that was accomplish, as you will see! On May 15 about 4pm in the afternoon four tornadoes went thou Dutchess and Putnam county. And of course the AT was right in its path .The area just north of the cabin (Hooserner Mountain) two to four hundred trees down. Not all of them on the trail itself but, a large chuck of trail had to be permanently rerouted. The trail was closed off for about a month until the sawyers could get a handle on the mess. there were about 20 trees down. I hope your getting the picture? Now on to RPH..... The trail was completely blocked on both sides from the cabin to the the out house. To top that off the Herold Fraude Hammack area was blocked also.Damage To the grounds was confined to the Gerry Messerich Memorial Flower garden and the AT mileage sign.Both were repaired during our work week end. Now on to the trees, The massive 130 year old Oak tree,the bear bag wonder,took out seven more trees and piled them 10 feet high across the trail. North or south bound hikers could not see the other section of the trail at all. With our small band of 20 of volunteers each day we managed to cut,stack,and completely cleanup the entire area. RPH Cabin area will never look the same. Thanks to the down Oak tree we now have a excellent sun rise view of Hooserner Mountain in the morning. !Plus our club members installed 15 new locust steps just south of Taconic Parkway. Bringing the grant total to 40 including last year's project. One fabulous job considering that all of the tree work that was going on at the same time. Two more projects were on going during the week end as well, Several planks on the boardwalk rotted out and were repaired. New trees that were planted prior to the tornadoes were cared for. ( Yes we need them now). Chelsea Forest Products Wappinger Falls,NY. Boardwalk Lumber. The club is most grateful for the continued support that ALDHA has shown us in the past seven years. 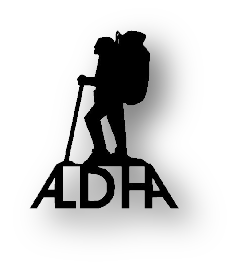 This years ALDHA donation was spent on food for the trail workers.Thank you very much. As all way RPHCVC members will be hitting the trail this fall to check on the cabin and to make sure the trail is in excellent condition. Thank You as all ways. Bring a sample of your favorite baked goods to ALDHA Central by Friday afternoon/evening (to be eaten at the Friday evening reception) for a chance to win an REI gift card! Work Trip Opportunities in August & Sept.
August will be full of work trip opportunities. 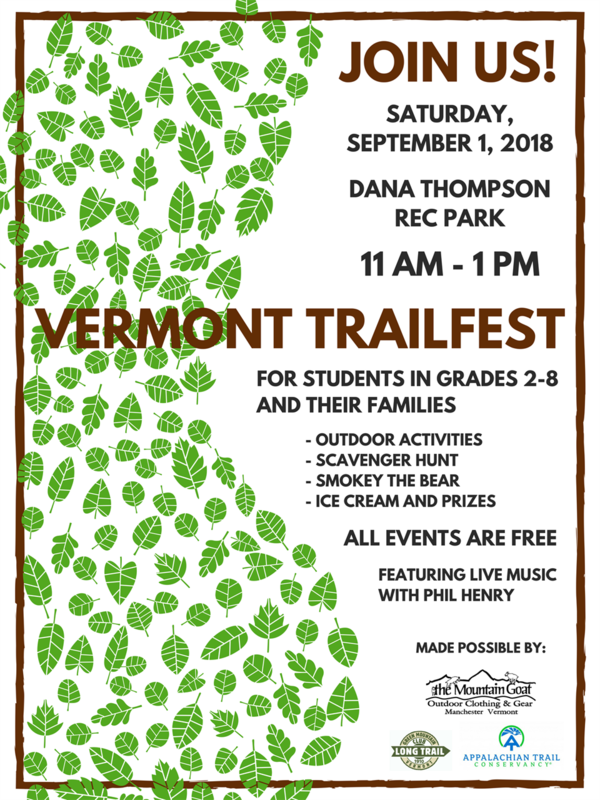 Jim Chambers will host the Inaugural Trail Event & Open House for the Southern Appalachian Work Center. Dartmouth Outing Club has two AT Corridor work trips planned for late August & early September. For more information visit the ALDHA Trail Crew page. Thanks to Dean "Crooked Sticks" Clark for his latest ALDHA promotional video. For a synopsis of what ALDHA is all about, click on the image below to open up a PDF copy of our annual brochure. It includes some key dates, contact information and a registration form in case you decide you'd like to join ALDHA.